711 Spinnaker is a lovely 2 bedroom, 2 bath villa. 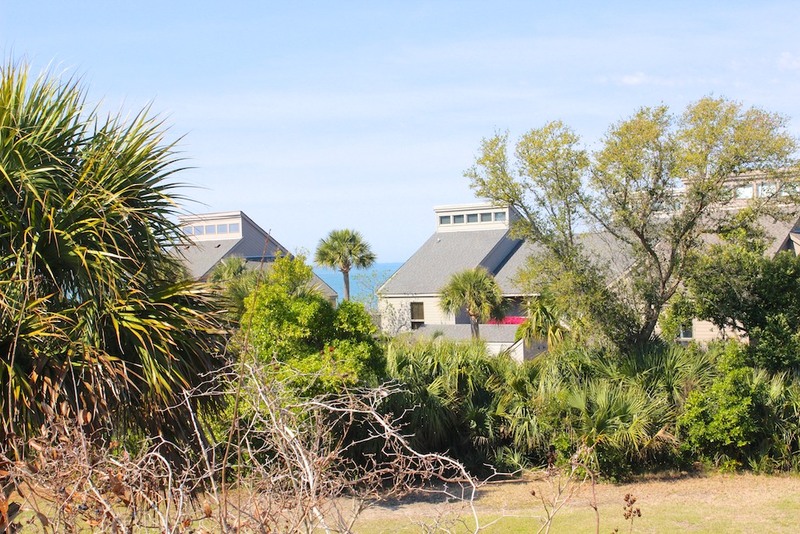 Enjoy the quiet and beauty of Seabrook during your vacation. This villa is just a short (5 minute) walk to the Island House restaurants, the beach (both Pelican Beach and the Beach Club beaches) and the Club oceanfront pools, Pelican's Nest outdoor restaurant, and golf. It is in the perfect location! Enjoy the distant ocean view from the balcony off the master bedroom. Large picture windows in the living room and dining room offer a glimpse into the wildlife at Seabrook. It has an updated kitchen and all the amenities needed to make your stay enjoyable. Villa features include cathedral ceilings, deck with a dining table, TV's, DVD player. There is counter seating as well as a dining room table to enjoy each others company. The first floor bedroom has a two twin sized bed, TV and a full hall bathroom with a shower/tub. Upstairs the master bedroom boasts a king size bed, TV, and full bathroom. Sliding glass doors lead to a balcony with distant ocean views - perfect to relax after a day at the beach or gaze at the stars at night. This villa is pet friendly. An additional pet fee to apply if bringing your dog. The beds will be made and clean towels hanging in the bathrooms for your use. We do ask you to bring your own beach towels.